Everyone is a little different when it comes to their ideal climate. Some people like winter, others like summer. For whatever reason, I tend to sweat no matter what season it is (oh joy). As odd as that may seem, I do have a personal preference for summertime. I love a good bikini, book, shades, and oversized hat. My husband and I tend to vacation somewhere with a beach or at least a great resort pool. Since we do not have a pool in our backyard here in Oklahoma, spending time lounging by the pool with a cold drink and a good book is a real treat when it does happen. I spend a week leading up to vacation to make sure I have my beach bag game strong. This adorable monogrammed bag was a gift for being a bridesmaid in my BFF's wedding earlier this spring. I have found a similar preppy option with a zipper on Etsy. When you are prepping for a relaxing afternoon at the beach or lounging beside the pool, there are a few essentials that you need to have prepared. 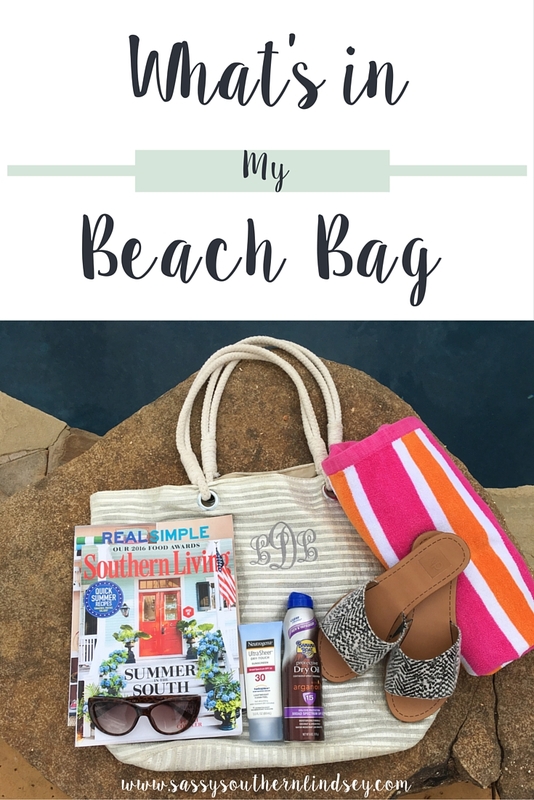 Below you will find what's in my beach bag! On the GoGo - Seat's Taken Beach Towel from Packed Party is on my wish list, talk about making a statement! 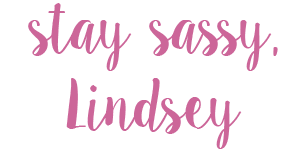 I love that it's so sassy without saying a word. These slip on sandals from Target (on sale for $15.99) are my everything this summer! I find myself wearing them nonstop durring the weekends and sneaking them into my professional wear on a casual Friday. Banana Boat Deep Tanning UltraMist SPF 15 Clear Dry Oil Sunscreen takes me back to my lifeguard days! The twist and lock top will keep your bag neat and clean. The smell of this stuff will bring a smile to your face and having you living on island time! Neutrogena® Ultra Sheer® Dry-Touch Sunscreen Broad Spectrum SPF 30 is the best on the market in my opinion. It goes on smoothly and dries almost instantly without that greasy feeling. My husband and sister have very fair skin; I purchase the SPF 70 for them. I tend to have bad luck keeping up with sunglasses, so I have a hard time justifying spending a lot of money on them. Shout out to all of my sunnies in heaven! Here is a cute pair of Kate Spade sunglasses that are under $60! Here's the deal on magazines, I don't subscribe to any. Sometimes I grab a couple in the checkout line at Target. Other than that, my co-workers bring their copies into the office when they have read them. I know that sounds cheap but hey, I don't hate it! I don't have an e-reader. There is a B&N not too far from my house that I like to visit. I also find good deals at Target in their reading section. I try and wait for the book to go 20% off before purchasing it. Make sure your phone battery life is ready to snap some photos, apps are up to date, and your podcasts are downloaded. You will also want to set a timer for sunscreen reapplication. You don't want to be stuck listening to the worst pool playlist ever, right? Before you head out, prep your ultimate summer playlist. Just plug in your headphones and you will be in a better mood in no time! We can't have you getting dehydrated now, can we? You have to make sure to keep your water intake high if you are spending time outdoors in the sun. I tend to pack my bag with a few different snacking options. I recommend a power bar (stay away with chocolate, that will be a melted mess), dried fruit, or a trail mix. I also suggest packing enough to share with friends. I don't want to carry my purse to the pool or the beach. I just toss my wallet into my bag. You don't want to miss out on a frozen drink because you left your cash or card in the car! I want to hear from you! What are a few must-have items that you keep in your beach bag? That beach bag is adorable. I love a monogram on everything! Same girl, monograms make everything better! I will swing over and enter your giveaway. Thank you so much for your comment!